When I saw the tweet about #sewdollyclackett I knew I wanted to get involved, just didn’t think I’d leave it till the 11th hour (or as close as) to get involved. 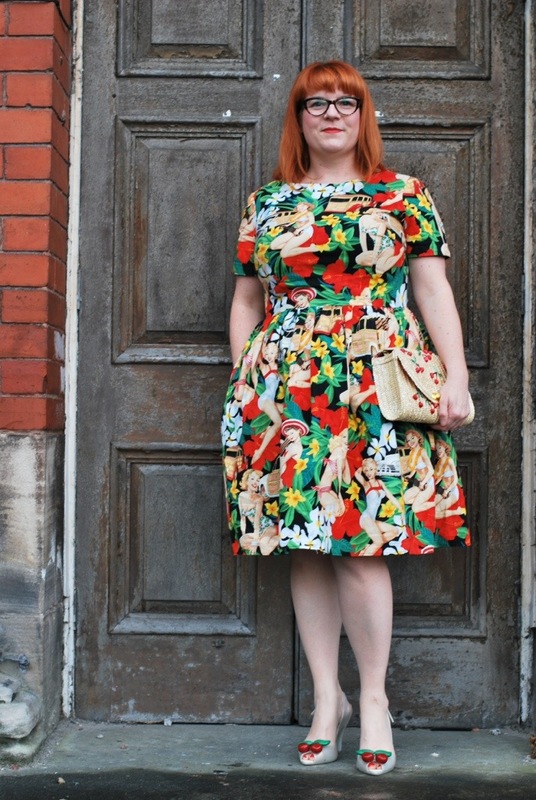 I love Roisin blog, her hand made wardrobe and shoes are girl crush material. shamelessly I’ve bought the same fabric and made versions of her dresses more than once, but you know I’m sure she wouldn’t mind. I made this dress in plenty of time and have even worn it few times since. The first time was to celebrate my nephews 18th birthday. My dad loved the fabric and convinced me to wear it to the races, so I did. Alex has already mentioned that she saw a few duplicate outfits at Aintree Races and her own dress was unique. 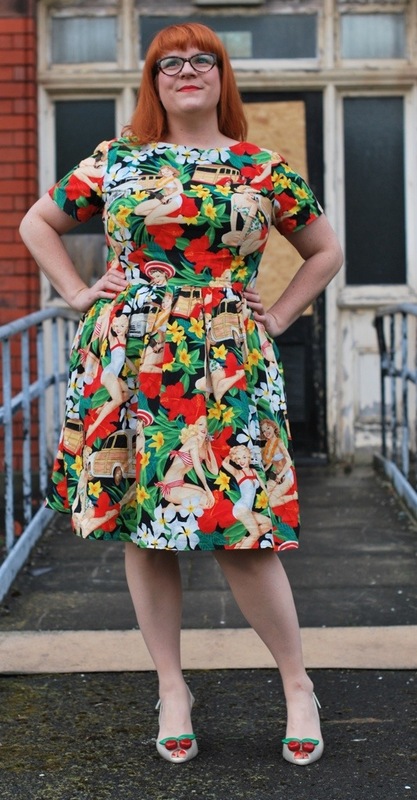 I didn’t see another pin up girl and car patterned dress all day. Another bonus for sewing your own dresses right there. I wore my favourite shoes and my bag has little matching cherries. 2 for 1 Doorway shot and derp face. This won’t be my last Emery dress, I want to fix some neckline gaping and I have a few metres of more Alexandra Henry fabric washed and ready to sew in true Dolly Clackett style. Wishing Roisin and Nic a very happy wedding day and years beyond, lets all raise a glass of prosecco to that.